After all the (unseasonable) snow fall on Mount Wellington last week, we decided to head up the mountain the following day and see for ourselves. The road had been closed on Thursday with all five gates shut to traffic. We were lucky enough to get to the third gate on Friday, an area called The Springs, where we parked the car and had a look around. When the ‘gatekeeper’ told Dean, “Sure, you can go for a walk”, Dean said “Come on” and we were off – quite unplanned and unprepared I might add. The path looked like any other track to begin with, but before long, snow started to appear and we were (almost) right in the thick of it so to speak. It was cold, really cold, but not cold enough for more snow to fall. What was amazing was the sound of the wind through the trees. It was the loudest I’ve ever heard, louder than an approaching freight train and at times I could almost not hear my own thoughts. At one point it was a little frightening as I thought it would be impossible to hear the tell tale crack of a tree giving way. We were walking for a little more than one hour and it was thrilling and exhilarating all at once to go for a bushwalk with the snow on the ground. 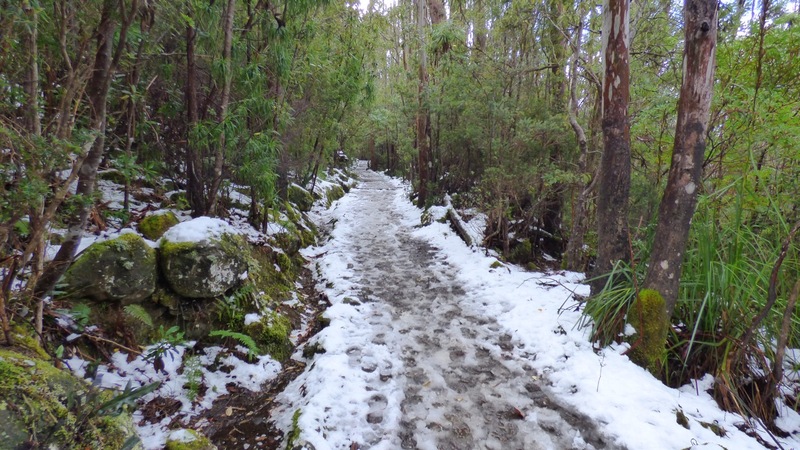 I hope this is not our last snow inspired bushwalk before we leave Tasmania. Back at the car parking area, Olaf had seen better days. 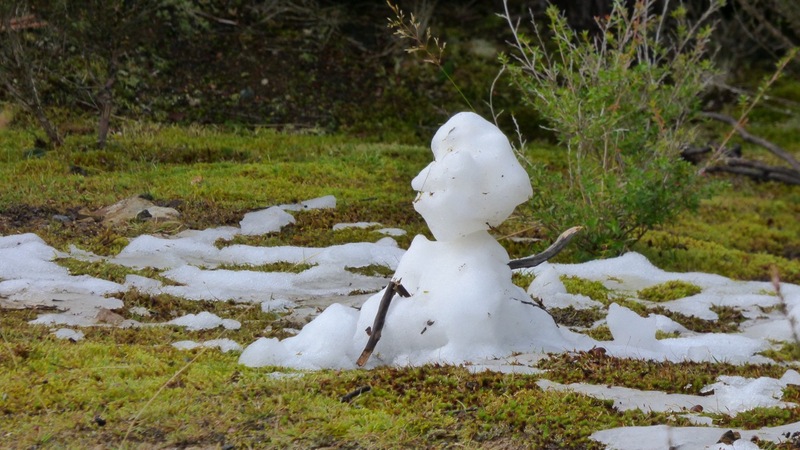 Glad the trees stood tall… but poor Olaf… not standing tall any more. Hope you get a few more walks in the snow! And I believe we are not finished with the snow just yet. Snow, snow go away… but yet it is kind of pretty! I don’t quite understand how your blog challenge works, but I will try. 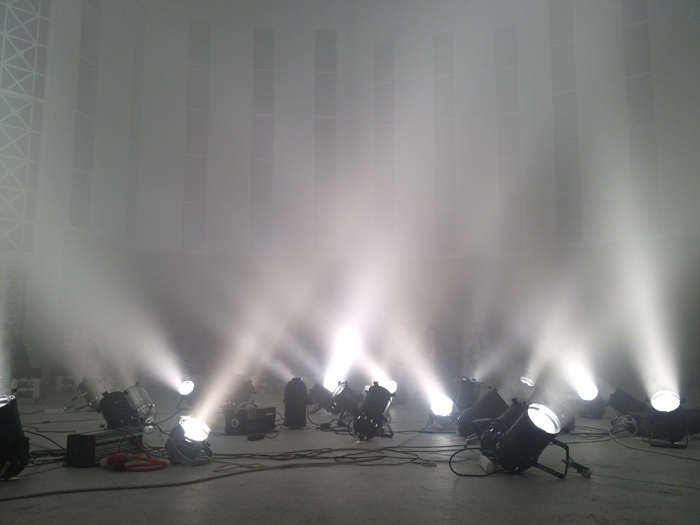 Here is the URL to my photo of the week taken on 7th of May in Zagreb at a new music festival: https://whatifblogdotnet.files.wordpress.com/2015/05/lighting_zagreb.jpg. Thank you for joining in. I love all that fancy lighting. Well I figured out why I wasn’t getting anything from here. It’s a separate site! And I had not followed it. I went back through and looked at a lot of pictures. Really like that Cape Raoul one. Impressive! And the one of Dean sitting above the water was beautiful, too. Well I’ve followed you now, so I’m good to go! Aren’t you lovely? Thank you. Wait till you see the next round. 🙂 Miss you too. So cool Mum! Glad you got to see some snow, hopefully you get to see more!